This machine is designed and manufactured with mechanical-electrical integration and simple structure and operation. It is convenient for the machine to be installed and adjusted. The machine is equipped with an adjustable pressure and frictional damping device and can provide ideally shaped winding hardness through dynamic damping control. 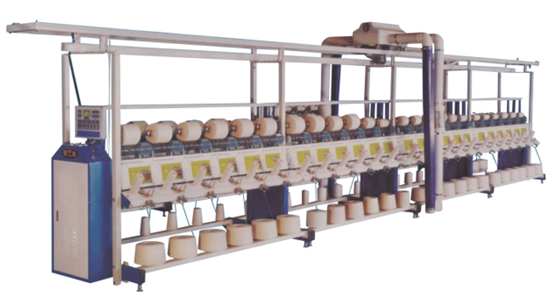 The machine has other functions such as central computer program setting, fixing length via single spindle, electronic anti-overlapping, frequency control of speed, single-spindle control, automatic stop at the broken yarn position, and data memory.